One year ago 9-year-old Adisen Kallas made a wish with her family in front of Cinderella Castle. 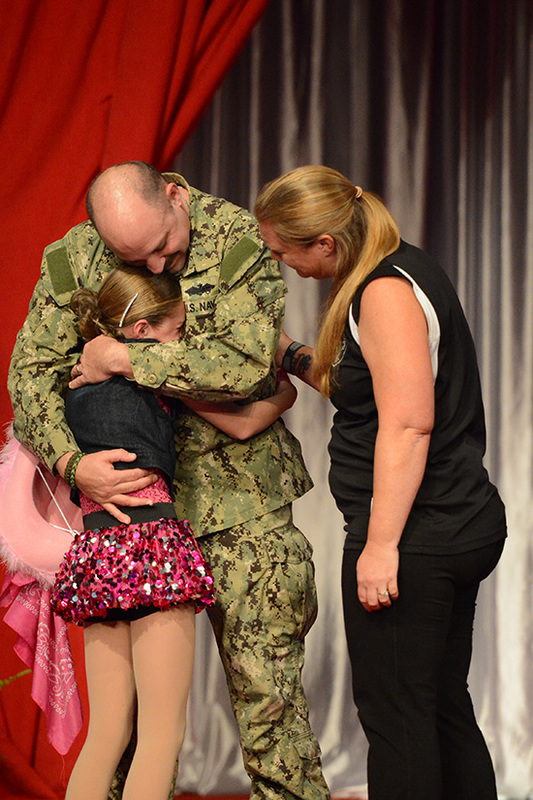 She wished that her dad, Navy SEABEE UT1 Scott Kallas, would return from deployment in Afghanistan in time to watch her dance at the 2014 Pop Warner National Cheer and Dance Championships at ESPN Wide World of Sports Complex at Walt Disney World Resort. At that time Scott was preparing for his fifth military deployment. Well Adisen, wishes do come true. What happened on Saturday after Adisen and the Mighty Might Tri Town Raiderettes dance team from Schererville, IN, performed was nothing short of magical. It is a moment you will want to watch for yourself. 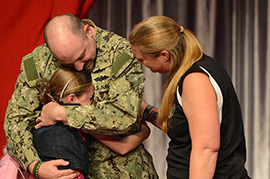 Welcome home Scott Kallas. 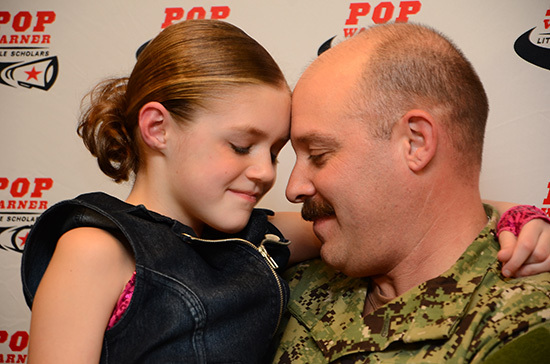 Thank you for serving our country and showing all of us that wishes do come true.